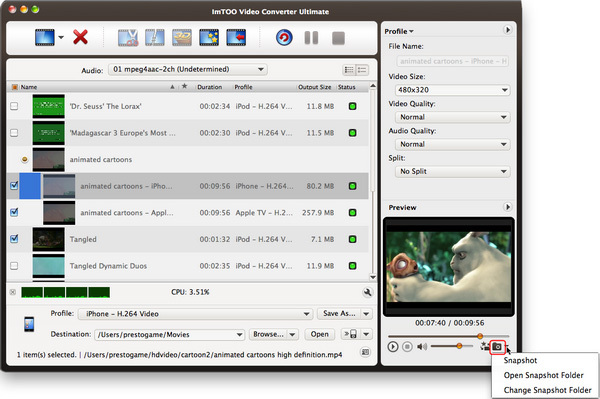 How to convert video files on Mac by using ImTOO Video Converter for Mac? 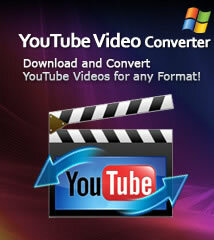 The following guide will show you step-by-step to complete the conversion task. 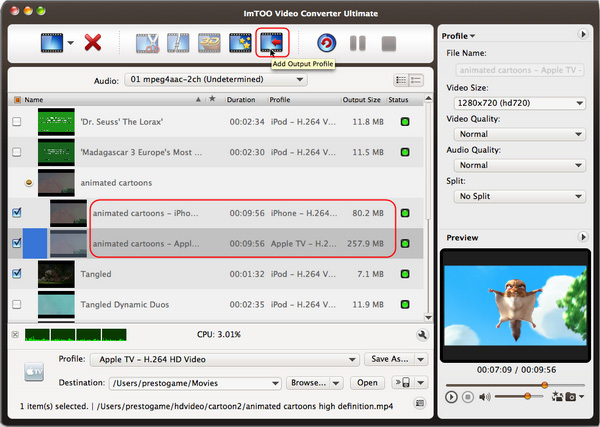 ImTOO Video Converter for Mac is complete solution for video conversion and editing. 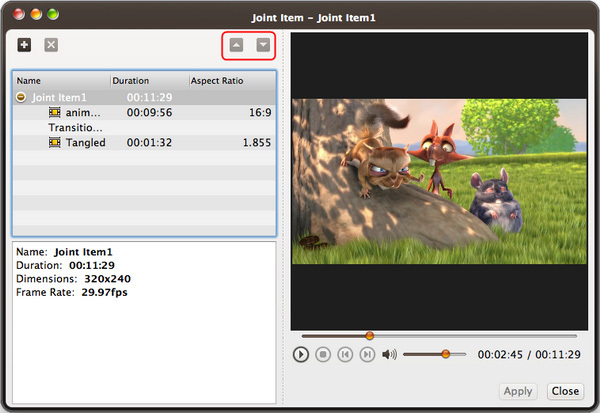 It can convert all SD/HD/3D videos and all kinds of audio formats to play on most multimedia devices including the iPad, iPhone, iPod, Apple TV, PSP, BlackBerry, Zune, Archos, iRiver, Creative Zen Vision, Xbox360, Google phones, and mobile phones. 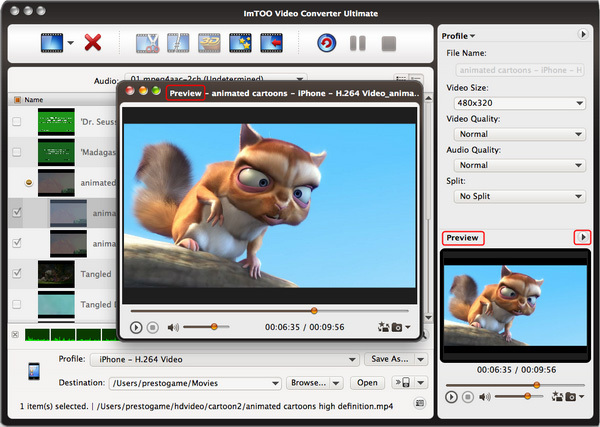 In addition, you can also edit your files by clipping/merging/splitting/cropping, adding watermarks/soundtracks/effects using this perfect Mac video converter! 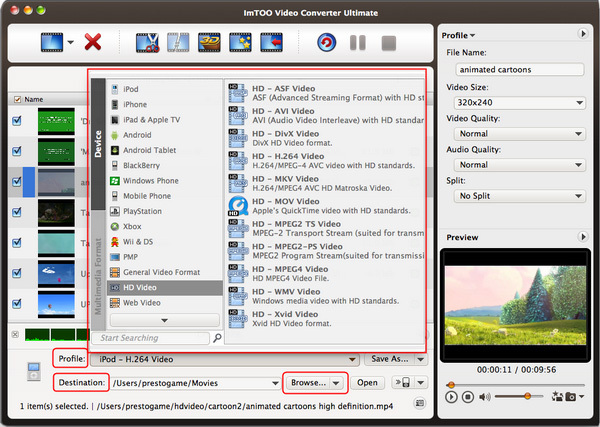 Firstly, free download ImTOO Video Converter Ultimate for Mac and then install and run it. 1. 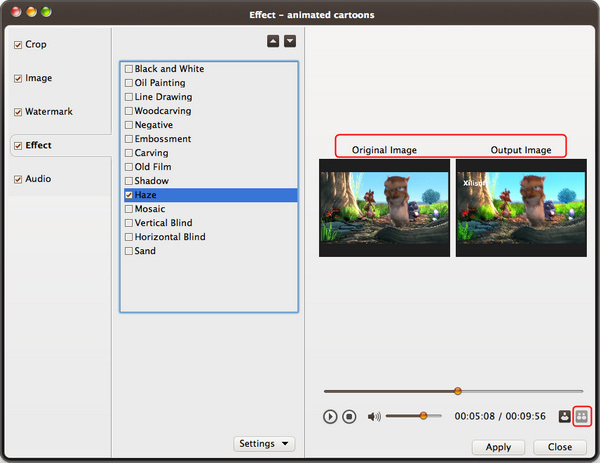 Click “2D to 3D” button to open settings interface. 2. 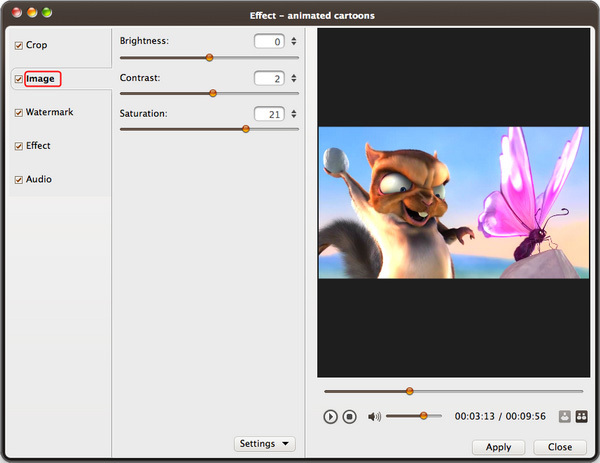 Click “Anaglyph (Red/Cyan)”, “Side by Side”, “Side by Side (Half-Width)”, “Top and Bottom” or “Top and Bottom (Half-Height)” under the preview area, select an output mode. 3. 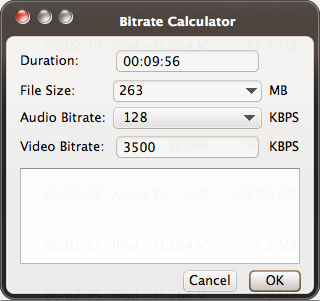 Click “Finish” to return to the main window. 1. 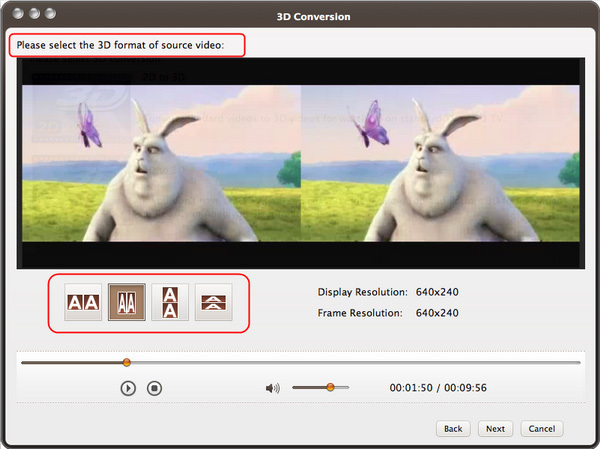 Click “3D to 3D” button to open settings interface. 2. 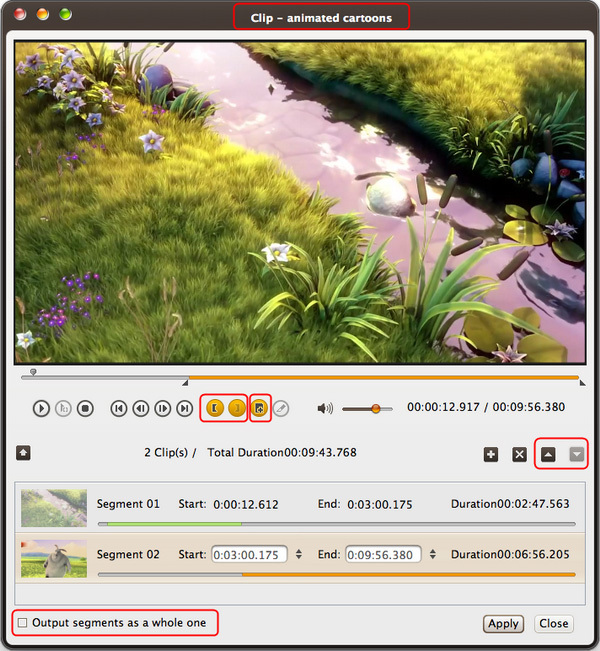 Click “Side by Side”, “Side by Side (Half-Width)”, “Top and Bottom” or “Top and Bottom (Half-Height)” under the preview area, select a source mode. 3. 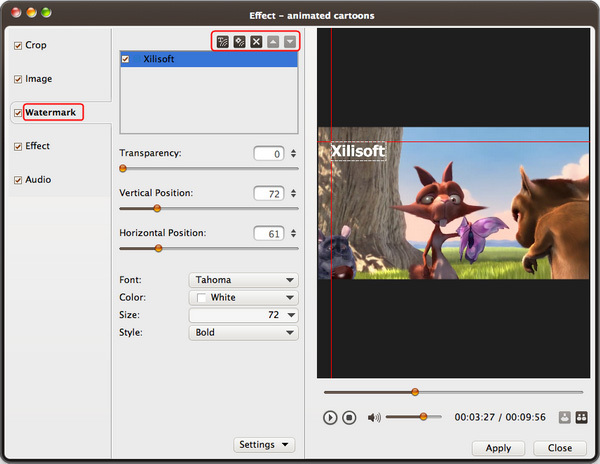 Click “Next” button to return to next step. 4. Click “Back” to return to previous step. 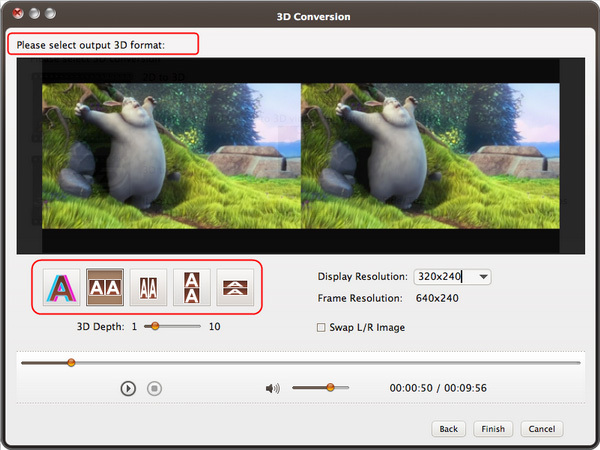 If you click “Remove 3D Conversion Settings”, then the 3D conversion will be removed. 5. 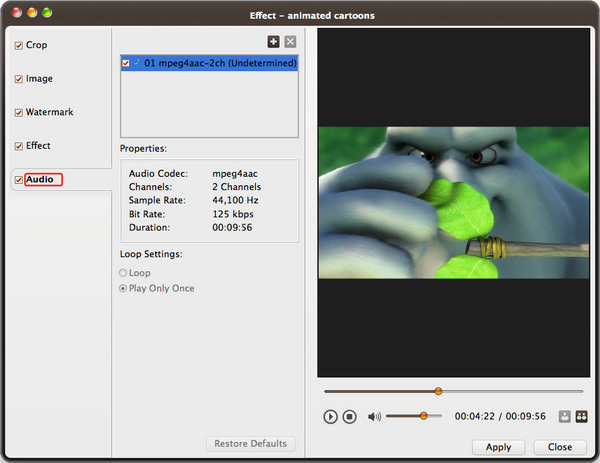 Click “Finish” to return to the main window. 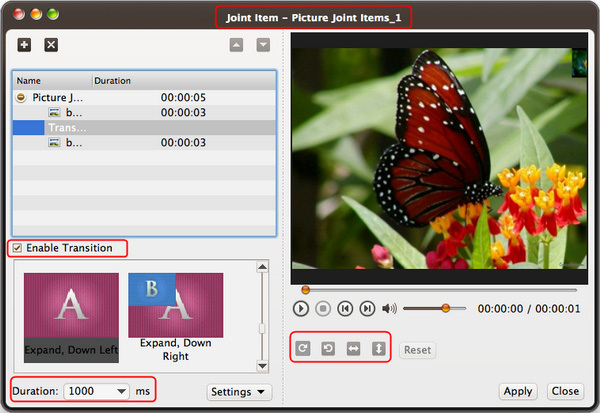 In “Watermark” tab, click “Add Text Watermark” or “Add Picture Watermark” button to import watermarks into the watermark list. 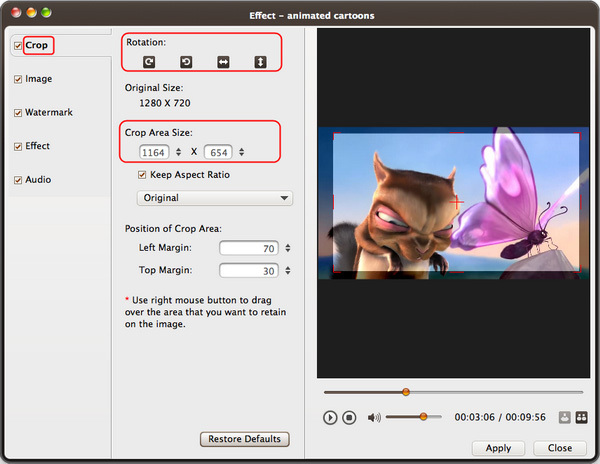 Select a watermark and set its transparency, vertical position, horizontal position, font, color, size or style. 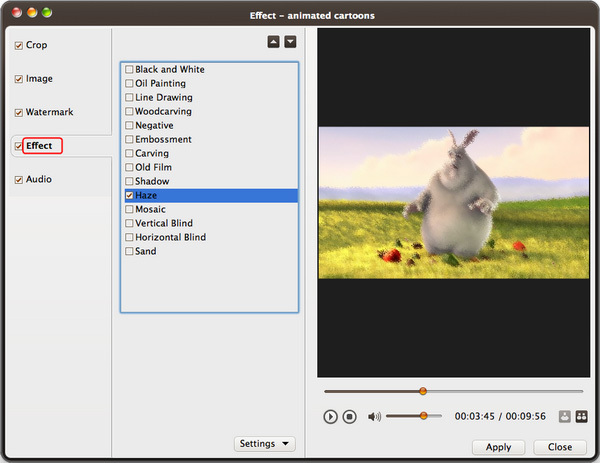 In "Effect" tab, choose an effect or more effects for the output video from the effect list. 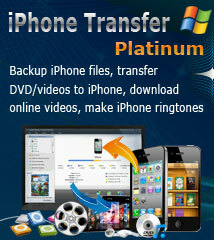 You can directly transfer converted files to iTunes, iPad, iPhone, iPod and PSP just by one click.